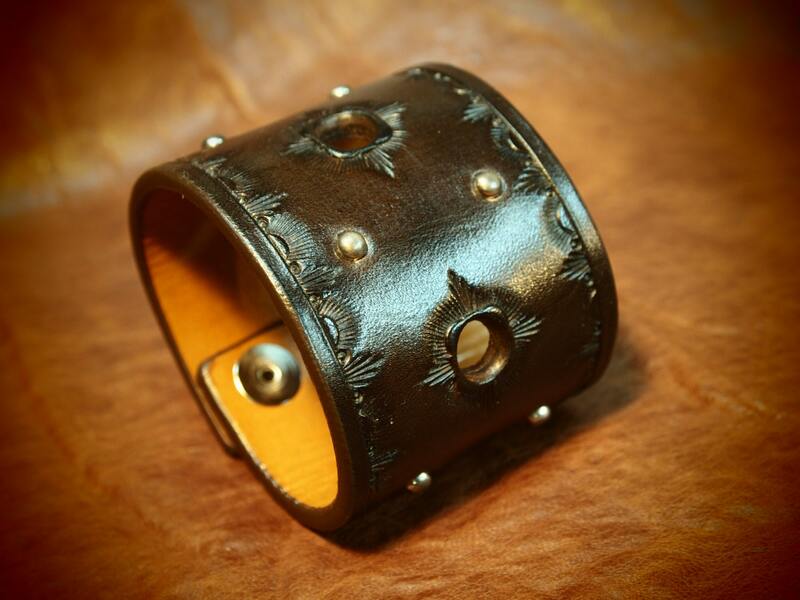 This 2.25" wide Leather cuff is made from high quality vegetable-tanned leather in my New York City shop. 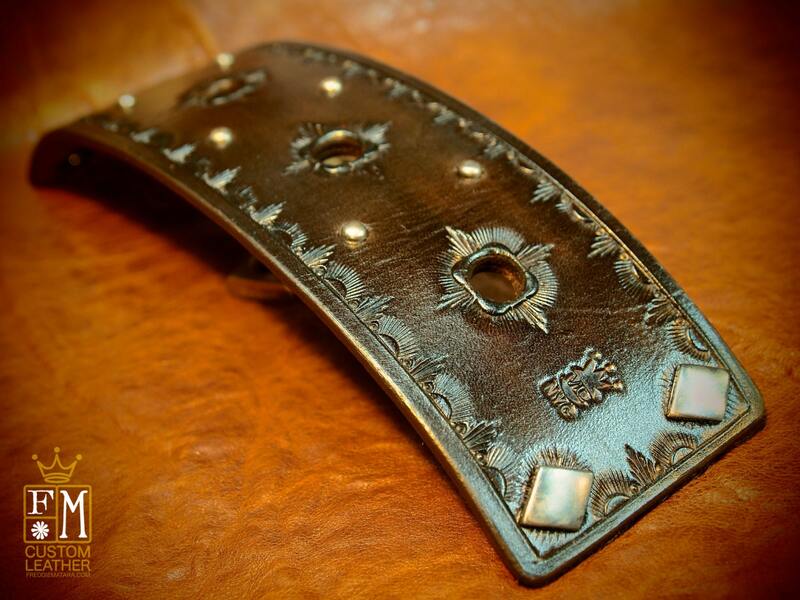 It is hand tooled along the edges and lined in plush calfskin and dyed a beautiful rich brown. I hand rub it with special waxes to give it an aged vintage look!!! 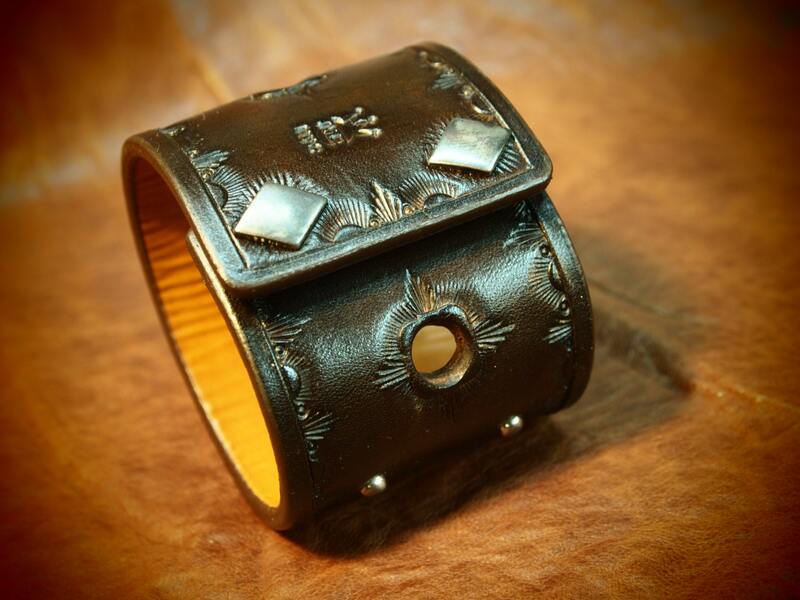 It is spotted between centered cutouts and closes using converted hand distressed diamond rivets!!! A totally unique bracelet with tons of hand work. Other colors available on request. 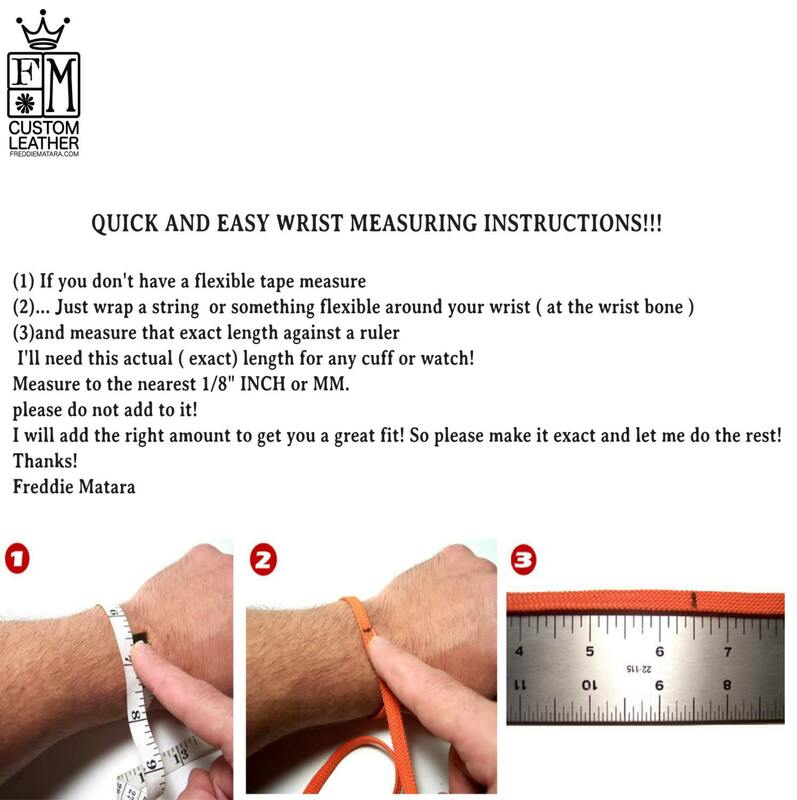 I Can size it for men or women!! !